ISNetworld® is a data management company that offers verification services for large companies who contract with numerous suppliers. By contracting with ISNetworld®, these companies outsource the review and verification of safety, insurance and other requirements. You submit your safety programs, insurance policies, and other requested documentation. The Dashboard Grade is critical to your continuing to be eligible to perform work for your owner-client, and ISNetworld® Compliance is what keeps your grade high. By following the steps outlined in this guide, you will be able to maintain a high Dashboard Grade. The first step to tackling ISNetworld® compliance, once you have your account set up, is to gather your company information. It is very helpful to have the following documents at your finger tips before you begin. Once you have gathered all of these documents, you are ready to tackle the next step, the Management Safety Questionnaire. This is a very important part of the ISNetworld® compliance process, because how you answer the questions will determine what requirements will apply to you. There are 2 types, the general questionnaire which is applicable to all companies and a second questionnaire that is specific to each owner-client. Tip: Make sure the information you enter into the questionnaire matches the documentation you are submitting. Otherwise it will be kicked back. The questionnaire must be submitted initially when you first join ISNetworld®, and you must update it every quarter. One of the areas of ISNetworld® compliance that causes a lot of headaches for our clients is the insurance verification process,. Each owner-client has specific liability insurance requirements, and you will be notified of them after you enroll in ISNetworld® and complete your preliminary questionnaire. Your insurance agent should be able to work with you to make sure all of this information is accurately reflected in the certificate of insurance. ISNetworld® allows insurance agents to log in directly to the site and with your permission, upload insurance certificates on your behalf. This can be a great way to expedite the process. To find out more about the agent/broker tool, click here. EMR (Experience Modification Letters) – These letters are issued annually by your workers’ compensation insurance agent. The main thing to watch out for when submitting these into ISNetworld® is to make sure you are inputting them in the appropriate drop box for the previous 3 years. This is the most common reason EMRs are rejected. ISNetworld® usually reviews these within a week of submittal. 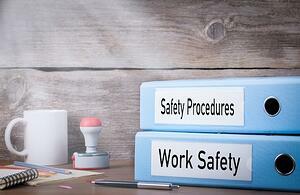 OSHA 300 Forms – These are straightforward to submit, assuming you have them. The biggest obstacle our clients run into with respect to this requirement is that they have not met this requirement on an annual basis and need to go back and file them for prior years. Accuracy and completeness is key here. ISNetworld® will reject any forms with missing information or any forms that are not consistent with the information entered into the MSQ. When working with our clients on their ISNetworld® Compliance, we find that many of them have problems with their safety programs. Many contractors purchase cookie cutter safety plans online just to be able to submit them to ISNetworld® but the plans are never actually properly customized to reflect their actual operations or even implemented. This practice, while it may help you pass your initial review with ISNetworld®, is not a good idea for the success of your company in the long run. Figure out the safety requirements that are imposed by the owner operator you are seeking to get qualified with and compare your existing safety programs against the requirements. You are basically doing an internal audit to make sure your programs meet all of the requirements. Make a list of the areas where you have gaps and determine what corrective actions are needed to ensure ISNetworld® Compliance. It is important not to misrepresent training records or documents just to get through this step. Determine what safety programs are missing or need to be amended to comply with ISNetworld® requirements. Or if you have the necessary programs, make sure you document the implementation of these plans. Make sure the safety programs you develop for submittal to ISNetworld® accurately reflect your company's operations and address the relevant hazards. A cookie cutter plan downloaded from the internet can be a good starting point but will need to be carefully reviewed and customized to fit your company. Make sure you actually implement the safety programs you submit to ISNetworld®. A safety program that is just on paper does not do you or your employees any good, and could end up hurting your company. You may be audited by the companies you do business with and they will need to see evidence that any required safety programs or training were actually implemented by your company. If you are strapped for time and need help making all of this happen, you may want to hire a safety consultant to assist you with this process. Many safety consulting firms offer turn-key safety management services and can support you on a monthly basis to make sure your company has the right safety programs to comply with ISNetworld® and that these safety programs are actually implemented so your employees stay safe. If you decide to do your safety programs yourself, there are several resources online which can provide a starting point. If you have the staff to handle safety program development in-house, OSHA sample plans are a great resource to get you started. Click here to see what’s available. Contractor orientation is commonly required by owner-client before employee can enter on jobsite. These generally don’t affect your Dashboard Grade that much, but it is important that you complete them. Getting set up properly and getting a good rating up front isn't enough. Your account needs to be monitored at least monthly to make sure that there are no issues affecting your grade, such as new OSHA citations. If you find that keeping up with ISNetworld® is simply too much for your limited office staff, you may want to consider seeking outside help from a consultant. A qualified safety professional can take over this task for you, and keep you in compliance with ISNetworld® and all other applicable safety laws and regulations. If you are looking for help with ISNetworld® compliance, a quick google search will yield the names of numerous companies offering downloadable safety programs and monitoring services to assist you. But how do you know if these companies are qualified to help you with both ISNetworld® and OSHA safety requirements? And how do you choose one among the many choices? Avoid ISNetworld® consultants who only provide cookie cutter, downloadable safety programs and no real safety advice. Although a cheap downloadable program may solve your ISNetworld® compliance problem in the short run, it is not enough. A professional safety consultant will provide customized safety plans that fit your company's operations and will advise you on implementation so that the ultimate goal of a clean safety record for your company is achieved. If you are audited, the cookie cutter plan that was never implemented will not be sufficient to keep your company in compliance, so it's best to do it right the first time. Check your consultant's professional safety credentials and certifications. A certification indicates that your consultant meets the highest standards for professionals in the safety industry. Two of the most highly regarded certifications in the safety industry are the ASP (Associate Safety Professional) and the CSP (Certified Safety Professional). An individual with an ASP certification has met an experience requirement, an academic requirement, and has passed the first of two examinations leading to the CSP credential, the Associate Safety Professional (ASP) examination. The CSP certification marks individuals who have met educational and experience standards and passed rigorous examinations validated against the practice of hundreds of safety professionals. For more information on these safety certifications, see the website for the Board of Certified Safety Professionals. Make sure you understand the scope of the services to be provided. There are many levels of ISNetworld® consulting available in the market place. Some companies just provide data maintenance and document processing services, which means that they simply take care of drafting cookie-cutter safety programs and uploading them into ISNetworld® for you. Monitoring of your information is usually available for a quarterly or annual fee. Other companies will offer enhanced safety services on a monthly or quarterly basis (for example, safety meetings, OSHA representation, and accident investigations), and some will offer turn-key, full service safety management services for your company. Make sure you understand what you are getting when you sign on with your consultant, and that they are qualified to provide the level of support your company needs. Check your potential consultant's references and reputation. Referrals from your industry peers are a great source of names of potential consultants, as well as local safety organizations, such as your local chapter of the American Association of Safety Engineers. If you are unsure, don't hesitate to ask for client names and references. Your ISNetworld® compliance grade directly impacts your company's bottom line, so make sure the consultant you are hiring is competent. Remember that safety management is about more than just your ISNetworld® compliance. A good safety consultant can help you understand and comply with OSHA requirements, improve your safety record, and maintain your company's reputation as a safe company to do business with and work for. Letting a qualified safety professional handle your ISNetworld® compliance can help free up your time to focus on what you do best.